Supported by the Zegna Foundation and facilitated by the social responsibility department at LCF, Conscious Contemporary Tailoring brings communities together: the women of the weaving department at San Patrignano, the women of LCF’s Making for Change project and BA Menswear students. 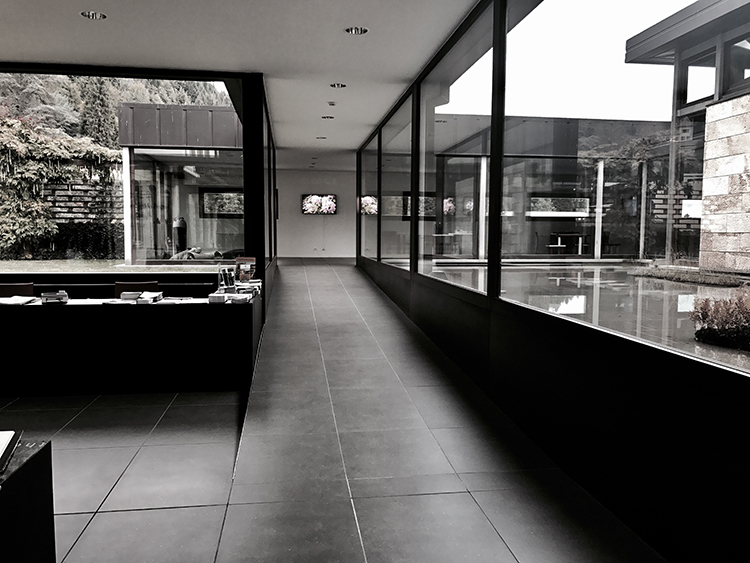 San Patrignano is a community which focuses on the rehabilitation of young people affected by drug issues. As an alternative to a prison sentence, the young people actively engage with their own transformation through education and learning to be specialists in a craft skill. Earlier this month students visited the community and the Zegna Foundation and wrote about their experiences for LCF News. The Conscious Contemporary Tailoring project was a big opportunity for us first year students. We were asked to produce designs for outerwear and accessory pieces around four themes: Protect, Survive, Protest and Migrate. This required us to consider how fashion can be used to interpret the world around us. Bethany Williams created brilliant sustainable textiles collaboratively with the weavers at the San Patrignano rehabilitation community in Italy especially for the project, and my design has been selected to be made. Like my peers, I could imagine how my garment would look and feel in this fabric and now, in a few months, I will be able to see my garment professionally made. This is an incredible opportunity for design students who have just completed their first year. Mine and Holly’s designs were selected as exceptional interpretations of the brief, and we went to Italy to see where the fabrics that our garments will be made of, come from. 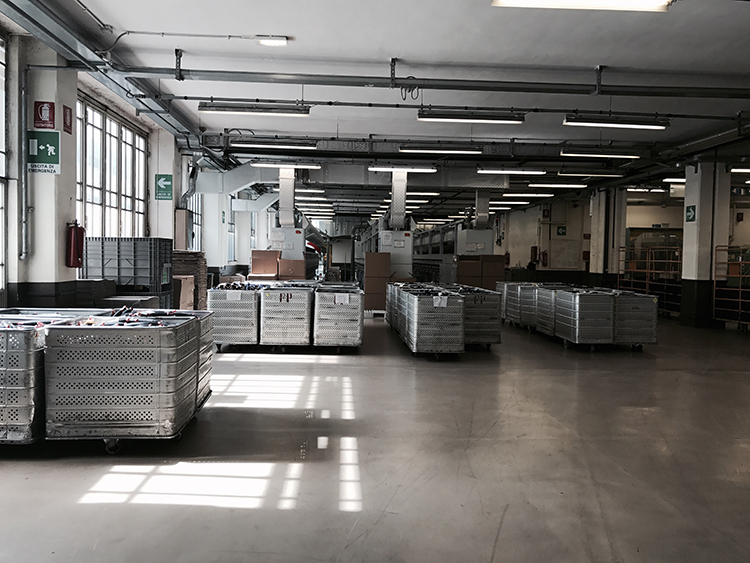 As the garments will be made from a combination of Bethany’s fabric and donated Ermenegildo Zegna fabric, we visited both San Patrignano in the hills near Rimini, historical archive and cultural center Casa Zegna, and Lanificio Zegna wool mill in Trivero, northern Italy. 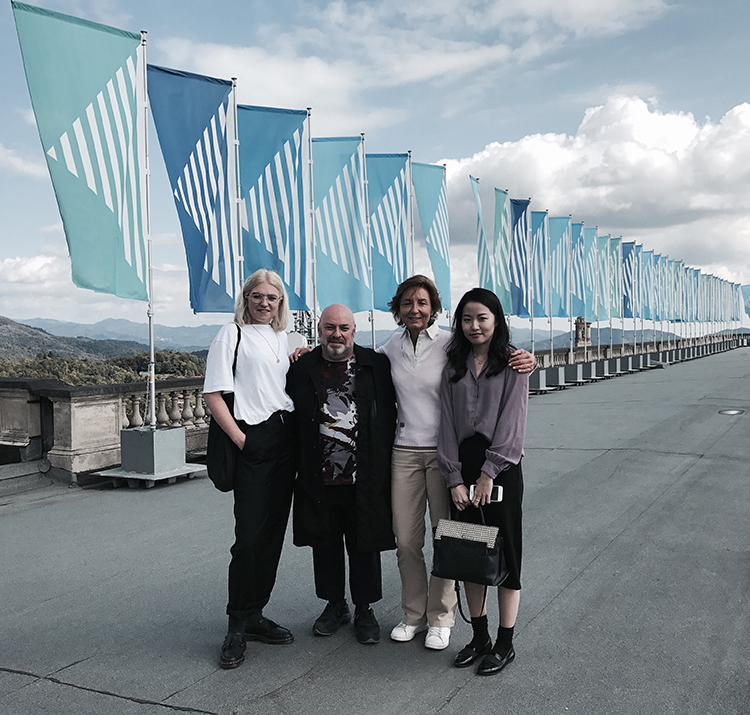 At Casa Zegna, located in the beautiful landscape of the Biella Alps, we were met by Anna Zegna, President of Fondazione Zegna charity, and archivist Linda. They explained the history of Ermenegildo Zegna and the Zegna brand, and showed us around their impressive archive, in which were kept original textile sample books. It was a rare chance to see these precious objects which have a history spanning over 100 years. The textiles were presented with the specific instructions of how to make each one, and each had a beautiful combination of colours and patterns. I understood what Anna meant when she said “design starts from the textiles“. We also visited the wool mill where the luxury fabrics are produced. The mill was huge, and is the only mill where Zegna fabrics are produced. Our visit with Anna showed what Zegna has done for both fashion and nature. I hadn’t previously contemplated how fabrics are made: Zegna’s company philosophy of “from sheep to shop”, knowing their roots and having a full overview of their supply chain, has made a lasting impression on us, and on how fashion can look in the future. This project hasn’t finished yet, and we still have more to see and experience once our garments are produced. I can’t wait!